St. Louis heavyweight Byron Stevens returned to action Friday after more than a one-year removed from action. 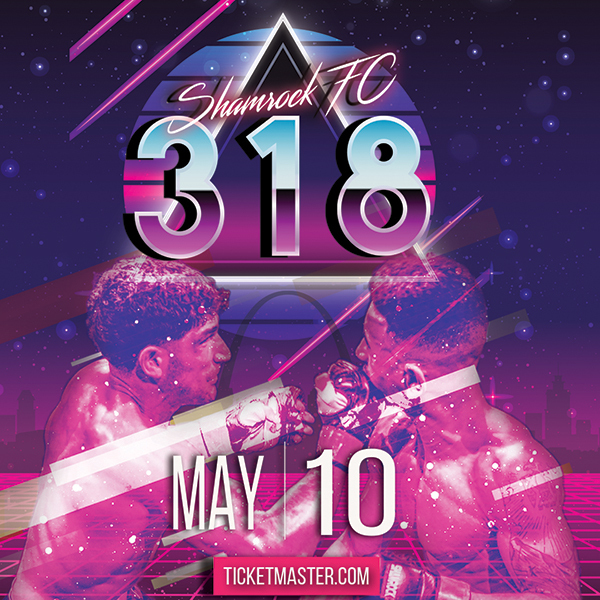 Due to some bouts being dropped off the main card of Friday's Gateway Fighting Series: Fury at the Lamborghini Gold Coast Athletic Centre in St. Charles, Stevens found his return in against Southeast Missouri's Max McNeely moved to the main event. After three close rounds it was Stevens who came away with an unanimous decision win, improving to 2-0. "I was pretty nervous because I hadn't fought in so long and I was going against a top guy," Stevens said. "We were both at the top of the charts as ammmy's. This fight wasn't really about the record it was about getting a win over him." Stevens tested McNeely's chin early in the first round and McNeely passed, pressing through the fire fight to slow Stevens, known for his quick and accurate hands, down in the clinch. Stevens won enough of those exchanges, especially his lead right, to take the first round. "I have naturally been, I don't want to say a slow starter, but a cautious fighter," Stevens said. "I'm working on getting more aggressive and adding my kicks. Tonight, I felt like I stayed on the cage too long." McNeely, a solid athlete with a sneaky submission game, changed the tide of the fight in the second round. 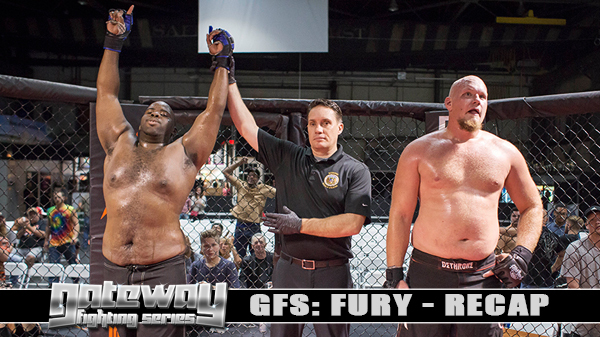 McNeely brought the fight to the floor and chased after a kimura that he worked for the better part of the round. Stevens painfully endured before eventually getting the fight back on the fee late in the round. "I've always been a flexible guy," Stevens said "It was tight but the pain wasn't to the point to where I really had to do something to get out of there. I just stayed relaxed." With the fight in all likelihood tied going into the third, McNeely started the round with some heavy kicks to the body. But Stevens chopped the taller McNeely down with a leg kick near the round's mid point that sent the fight crashing to the floor and Stevens on top and in control. 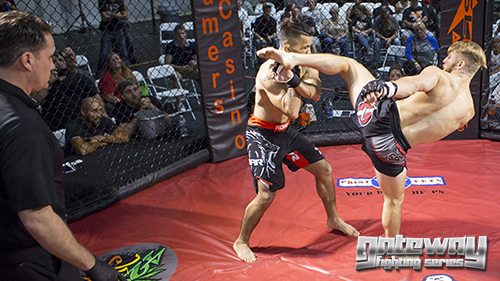 From there he finished the round out in dominant position and sealed an unanimous 29-28 victory. "He's a tough guy," Stevens said. "We were supposed to do this numerous times as ammys. I knew what I was getting into. I knew he was going to be a hard, hard opponent and if I had to go 15 minutes." Steven Coleman and Sheldon Smith were both left without dance partners at Friday's weigh-ins. Coleman was originally slated to face Joe Roye at bantamweight while Smith was going to take on Trevon Crawford but neither Roye or Crawford were there come weigh-in time. "I was like, f*ck it. I'll fight that dude right there because he was needing an opponent," Smith said. "So I weighed in today at 140 at it was on." Smith has able to dictate distance and consistently found his range with the right hand. "I really wanted to let go and get the finish," Crawford said. "I felt like I hurt him a couple of times but I didn't have the gas tank to do what I wanted to." "I just have to fight," he said. "With all of these people dropping out, when they call you, you have to fight. You have to make that money. So, one-day notice. A good opponent, because he's been whipping everybody, was like, let's go then." Sam Paneitz continues to impress. The Wolves Den product used a strong top game to control and frustrate the always-game LC Hamid and earn a unanimous decision win. The pair had an intense, fight-of-the-year worthy first round but Paneitz was able to temper the pace and controlled the action. Gaston Marabotto used a bulldog of a guillotine to submit Zachary Burcham in the first round of their lightweight bout. Springfield, IL's Jason Stevenson executed a nice arm bar to tap Chris Peterson in the first round. Justin Lewis started the evening with a decision over win Aaron Clarke. Brandon Smith earned a split decision over Arvin Mills. Travis Lee won a split decision over Joseph Williams. Jeff Bradshaw won by TKO due to powerful leg kicks landing on Sam Stevenor. Coming off a foot injury, Cortavious Romious got back into the competitive arena with a high-volume, unanimous decision win over Eric Schmidt.